Powerboats, sailboats, and yachts are just a few of the projects you could have the opportunity to work on. Love boats? This specialty would be a great fit for you. Float away from the rest; point your compass toward a career as a marine mechanic. 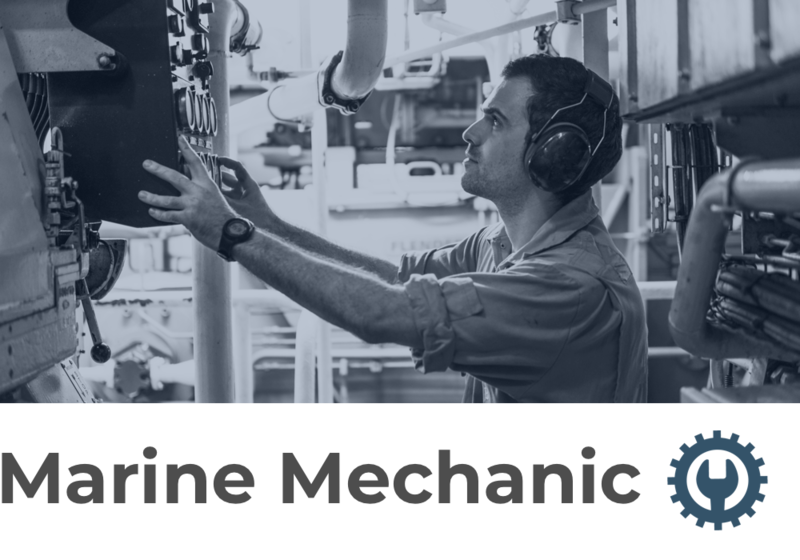 When you choose the path of a marine mechanic, you will receive specialized training, in addition to the courses required to earn your certification as a general auto mechanic. Apprenticeships are available for marine mechanics, but first you must complete a formal technician training program that specializes in watercraft repair. Different types of watercraft need specialized mechanics with training, expertise, and experience in each design. As a marine mechanic, you will be required to inspect and repair the mechanical and electrical systems of these complicated machines. The salary range for marine mechanics runs from $23,860 to $61,940, with the median annual pay at $38,960. The United States Bureau of Labor Statistics projects a 6 percent increase in marine mechanic jobs through 2026, adding approximately 4,700 jobs. Sail into your future as a marine mechanic. Receive free information from our featured mechanic schools, at no cost to you.